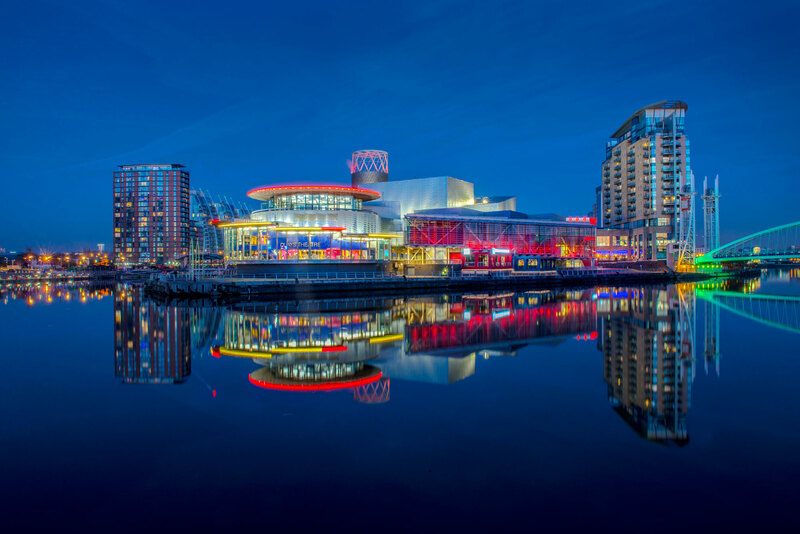 Salford Quays: the home of MediaCityUK is celebrating 18 Years In The Making this year. Located on Greater Manchester’s contemporary waterfront, Salford Quays’ venues and attractions will come together throughout 2018, starting this summer, with a host of festivities to revel in what wasone of the first and largest regeneration projects in the UK – the creation of Salford Quays. Laying the foundations for the beginning of Salford Quays’ story was the opening ofThe Lowry arts centre, which also celebrates its 18th anniversary in 2018. Since then the area has gone on to tell a fascinating story, becoming home to some of the most spectacular attractions and iconic buildings in the UK. Salford Quays is now aworld-class visitor, leisure, residential and business destination. Visit Salford Quays this summer to celebrate its milestone; experience new theatre productions, see digital art displays and outdoor theatre, visit galleries, and watch stunning performances. There will also be themed menu offers, destination packages, artisan markets, and historical tours by water, to make the most of. Clickherefor 18 reasons to visit Salford Quays this summer. 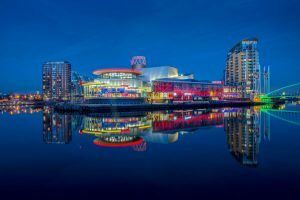 Salford Quays is a hub for the Northwest’s best cultural, sporting and leisure destinations, including The Lowry, City Centre Cruises, Ordsall Hall, Helly Hansen Watersports Centre, Quays Culture and Lowry Outlet. Also, located in the area is The Copthorne Manchester, The Alchemist MediaCityUK, Lime Restaurant, MediaCityUK and Clippers Quay, from Grainger PLC, a striking new residential development. Housed within one square mile, all of its attractions are within easy walking distance, making it the ideal location for a day out or weekend break. Mason Williams will be supporting the summer events and milestone year, with a 360 communications campaign.